The good news is that more Americans are now expressing a record- or near-record-high belief that global warming is happening, according to a 2016 Gallup Poll. Sixty-four percent of U.S. adults said they are worried a “great deal” or “fair amount” about global warming, the highest percentage since 2008. Now, the not-so-good news. Only a little more than 40 percent thought global warming will eventually pose a serious threat to them or their way of life. How do we bridge this knowledge gap, and reach beyond those who already embrace the reality that people’s health and the planet’s health are connected? A string of research urges environment champions and the news media to move away from framing climate change as just an environmental problem and, instead, bring it down to a more personal level. Because once it becomes very personal — protect the environment, and you protect your health — that’s when climate change will become real for more people. That’s when we’ll see many more aha moments. Making the links: do we connect climate change with health? A qualitative case study from Canada. Cardwell F and Elliott S. BMC Public Health. 2013 Mar 8;13:208. A public health frame arouses hopeful emotions about climate change. Myers, T.A., Nisbet, M.C., Maibach, E.W. et al. Climatic Change, (2012) 113: 1105. Also, a growing number of organizations are working to help bridge the awareness gap such as The Center for Health and the Global Environment at Harvard Medical School. Taking primary or specialty care to video chats with patients — via smartphones, tablets, or computers — offers an expanded pathway to not only better outcomes and patient experiences, but also new patient populations, additional revenue growth, and greater geographic reach. Telehealth also has the potential for preventing unnecessary urgent care and ER visits, helping to lower health care costs. All of these add up to good, strategic reasons to incorporate telehealth into your care programs. But getting the word out about new evisit services is no small task. Where do you even begin? Here are a few ideas for getting started. 1. Paint a picture of quicker, easier, more convenient access to care. Start with a good website story. Video chatting with doctors offers patients a different — and, many would argue a more attractive — value proposition. Paint a picture that taps into their desire for a quicker, more convenient way to see a doctor, especially when they find it too long of a drive or too inconvenient to take off work for an office visit. Also, highlight how remote visits can potentially deliver a quicker diagnosis and treatment plan. 2. Reach potential users through digital marketing. A tried-and-true digital strategy for reaching potential targets is email marketing. Develop an email campaign that highlights how virtual visits can enhance the patient care experience. Follow up your initial campaign with regularly scheduled e-newsletters featuring patient success stories and new services. Blogs are another great way to educate patients in a non-promotional way. Write posts about how telehealth can save them time while effectively treating their health problems, and then link them to an enrollment page. 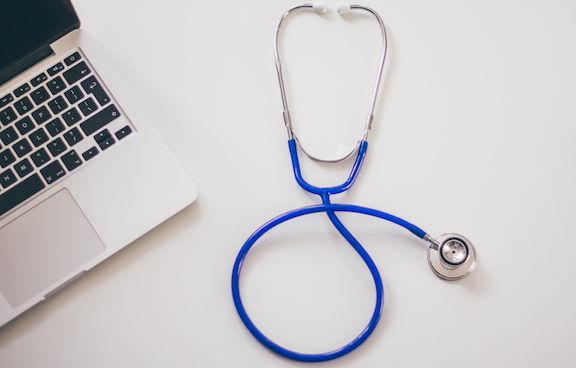 Also, publishing a regular telehealth blog can give your SEO efforts a little boost, helping to bring your services to the top of search results. Complement these tactics with other digital strategies. Drive patients to your telehealth webpages by highlighting services on social media platforms (Facebook, Twitter, LinkedIn, YouTube, etc.). Post info on telehealth benefits, success stories, and participating physician profiles. Also, consider using a patient portal to educate patients about how telehealth can improve access to and affordability of care. 3. Use traditional marketing techniques to increase awareness. Some of the most significant increases in awareness and patient education can be accomplished through traditional marketing techniques. Develop a simple, professionally designed brochure or flyer with a basic overview of your telehealth services. Use it to direct people to more details on your website. Finding guest article opportunities in newspapers can also be very effective in generating awareness of your telehealth program. Highlight local health care problems such as the management of chronic diseases — heart disease, cancer, and diabetes — and how, in response, you’re implementing telehealth services to reduce hospitalizations and better manage the health of those with these ongoing conditions. Just as critical, a press release on your evisit services can help grab the interest of local newspapers, television stations, and radio outlets. It is also a great source for links back to your website. Finally, pull together a telehealth event where physicians demonstrate evisits and help community members better understand what to expect from your new services. Telehealth visits — whether on smartphones, tablets, or computers — are about to pick up steam across Colorado. Fueled by a new law that takes effect on Jan. 1, 2017, many more health care providers will likely jump on the telehealth bandwagon and roll out office visits via live video chats. Under current state law, commercial health insurance plans must reimburse providers for telehealth visits in counties with 150,000 or fewer residents. But starting in 2017, this population limit ends. House Bill 1029 — signed by Colorado Gov. John Hickenlooper on March 20, 2015 — will require private insurers operating in Colorado to pay for telehealth services at parity with (the same way they pay for) in-person services in counties of all sizes. The bill also bars insurers from requiring an initial in-person office visit before telehealth services can begin and from requiring providers to document that a barrier to in-person care exists. This has big implications. Once providers begin receiving payment regardless of whether a patient receives services in-person or virtually, then health systems, hospitals, clinics, and physician groups will have more incentive to move forward with implementing video-based telehealth visits. Taking primary or specialty care to this game-changing level offers the potential for additional revenue growth, greater market share, and expanded pathways to new patient populations. Bringing on new telehealth services will also open up additional ways to address industry-wide directives, from improving clinical outcomes through such things as remote patient monitoring and integrated healthcare, to enhancing patient satisfaction from convenient, easy-to-access, and time-saving care. Of course, there are a multitude of operational and security challenges to consider — internet bandwidth, HIPAA-compliant internet connections, EMR integration, and data archiving, to name a few. (For information, visit the Consortium of Telehealth Resource Centers (www.telehealthresourcecenter.org). There are also a few things to consider when marketing video visits. 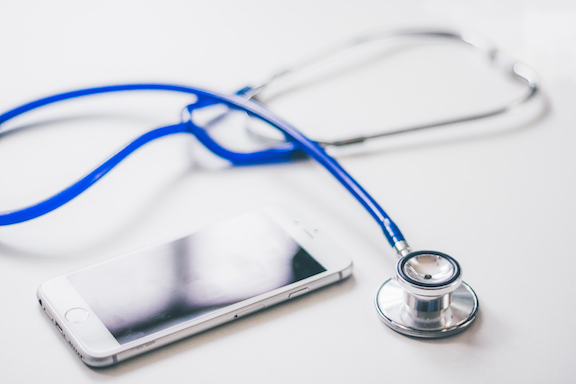 How do you market new telehealth services? Part 2 of this blog will offer some ideas. However, telehealth does not include care delivered via telephone, fax, or email. Legal Disclaimer: Information on this web page is published in good faith and for general information purposes only. There are no warranties about the completeness, reliability, and accuracy of this information. Any action you take upon the information provided on this web page is strictly at your own risk. The owner of this website will not be liable for any losses and damages in connection with its use.